QIT Madagascar Minerals (QMM), which is 80% owned by Rio Tinto and 20% owned by the Government of Madagascar, has built a mineral sands mining operation near Taolagnaro at the south-east tip of Madagascar, supported by the World Bank. QMM intends to extract ilmenite and zircon from heavy mineral sands over an area of about 6,000 hectares along the coast over the next 40-50 years. This is one of the most ecologically diverse regions of Madagascar, but also one of the poorest and most isolated. Eighty-two per cent of Anosy inhabitants live below the poverty line (US1$/day) and the regional population is expected to double by 2020. 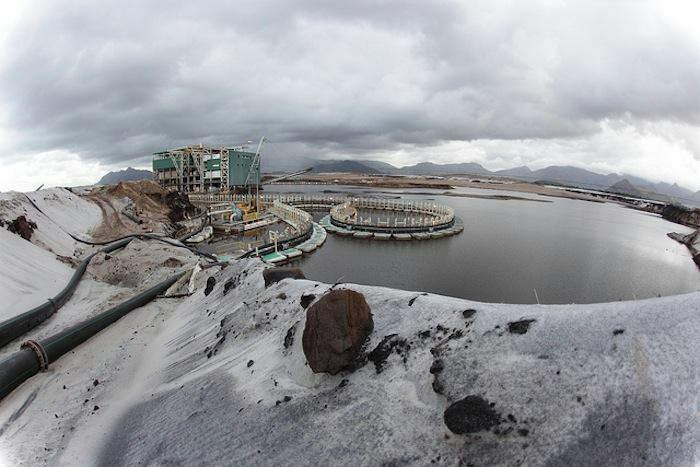 The Rio Tinto QMM project got the 'go-ahead' from Rio Tinto in August 2005 and construction started in January 2006. It displaced local people from their land and requires the removal of rare fragments of coastal forest and heathland found only in Madagascar. Many local people have little or no knowledge of the dramatic changes taking place and the reasons for them. Differences of understanding about the project have already led to conflict and mistrust, which have been further compounded by the lack of communication. The social, environmental and economic upheaval caused by the project affects different stakeholders in different ways. The most important direct negative biodiversity impact resulting from Rio Tinto/QMMs activities is the loss of coastal forest habitat at Mandena, Petriky and Sainte Luce. Approximately 1,665 ha is expected to be lost to dredging, which entails not only clearance of vegetation but also removal of soil and its constituent seed bank. Just 10% of the Malagasy population hold official title to their land, with most holding customary land rights that are afforded a lower legal status despite having been held for generations. Changes to local property ownership as a result of the project were extended significantly by the measures of the Integrated Growth Poles project and revision of the land laws. This has affected local peoples ownership of their homes, and their ability to own land in future. Project Details Current mining activity is at the 2000 ha Mandena site, to the north of Taolagnaro. Production on this site will eventually ramp up to 750,000 tonnes a year. 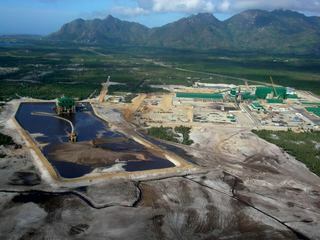 Later phases will be at Sainte-Luce and Petriky and there is potential to expand production to 2.2 million tonnes a year. Other According to London Mining Network, the Rio Tinto/QMM project has attracted opposition from conservationists since its inception because the mine site is located within the last remaining fragments of coastal forest in Madagascar; since this forest type is unique to the country. For instance, QMM has reported 64 species of endemic flora found nowhere else. Other According to Rio Tinto/QMM, the project and its contractors employ 3,300 people: 1 800 Malagasy from the local area (Anosy region) which represent 55% ; 1 100 migrant Malagasy workers (from areas other than the Anosy region) which represent 33% ; and 400 expatriates which represents 12%. And the compensation paid out by Rio Tinto/ QMM to PAPs in 2007, is about US$ 4 million. Destruction of tombs and consequent loss of private, cultural and historical heritage. Development of Alternatives -Explaining the mining project to local people in terms that they can relate to and which fall within their world view. -For RIO TINTO : Improve transparency and communication with stakeholders ; Limit the negative impacts of the mine not only on the environment and biodiversity, but also on the livelihoods of local people ; Listen and learn from its peers in the development community to a greater extent, and support them in exercising their respective competencies. them; Involve the local people in discussion about the revenues and the benefits; communicate its requirements for SEIAs for Sainte Luce, Petriky and the port; Use its influence and position to ensure that best practice is adopted as a legal requirement of all foreign investors, in order to protect the long term interests of the country, its people and environment. Why? Explain briefly. The mining project is going on and there are huge gaps regarding information and coordination among local people and ejos. Law no 99-022 (30 August 1999) and modified by Law no. 2005-021 (17 October 2005). Known as the Mining Code. Inter-ministerial Order no 12032/2000 of 6 November 2000. This is about mining areas and environmental protection. Decree no 2000-170 dated 20 February 2000 implementing Mining Code and modified by Decree no. 2006-910 (19 December 2006). Friends of the Earth (2007). Development Recast: a review of the impact of the Rio Tinto ilmenite mine in Southern Madagascar. Available at: Accessed 4 January 2013. The Andrew Lees Trust (2009). A Scoping of Impacts: Rio Tinto in Madagascar. Available at: Accessed 5 January 2013. Seagle, Caroline (2011). The mining-conservation nexus: Rio Tinto, development gifts and contested compensation in Madagascar. Available at: Accessed 5 January 2013. 'Rio Tinto: a record fit for the Olympics?' 16 p.
'Forecasting the path towards a Net Positive Impact on biodiversity for Rio Tinto QMM', 90 p.
'Mining Madagascar Forests, Communities and Rio Tintos White Wash', 8 p.
Webber Wentzel (2012). Mining Law Survey 2012. Available at: Accessed 5 January 2012. 'Political economy of mining development in Madagascar: Analysis of the Rio Tinto QMM project in Tolagnaro (Fort-Dauphin)'. 'Mineral Resources Governance Project, Project Appraisal Document (PAD)', Report no 25777, 17th april. The Cyber Observer blog (2010). QMMs employees cant enter their site. Available at: Accessed 5 January 2013. The Telegraph (2013). Rio Tinto threatens to exit Madagascar after CEO is trapped by protesters. Available at: Accessed 21 January 2013. Xinhua 2012. Madagascar : 584.000 tonnes dilmnite exportes depuis le dbut delann. Available at: Accessed 5 January 2012. Panos. Fanja: forest is forbidden, a part of the Pushed to the Edge oral history project. Available at: Accessed 5 January 2013. Al Jazeera (2009). Madagascar mining damaging environment. Available at: Accessed 5 January 2013. Youtube video (2010). Rio Tinto Tries Dodging Questions on Madagascar Mine. Available at: Accessed 5 January 2013. Kashi, Ed (2010) Madagascar: A Land Out of Balance. Available at Accessed 5 January 2013. Other Comments QMM began exploring the Anosy region in the late 1980s and at the same time starting preliminary social and environmental studies. In the mid-1990s QMM set up a full time social and environmental programme. A legal and fiscal framework agreement between QMM and the Government of Madagascar was concluded in 1998. This was ratified by the Malagasy National Assembly and promulgated into law by the President of Madagascar. QMM conducted a formal Social and Environmental Impact Assessment (SEIA) between 1998 and 2001. The government issued an environmental permit in 2001. The mine project got the 'go-ahead' from Rio Tinto in August 2005. Construction started in January 2006. -The World Bank contributed $35 million to the port and QMM $110 million. -The Rio Tinto/QMM is the only mining project in Madagascar which spent almost 20 years to develop a Social and Environmental Impact Assessment (SEIA). -Rio Tinto (United Kingdom) - a leading international mining group headquartered in the UK, combining Rio Tinto plc, a London and NYSE listed public company, and Rio Tinto Limited, is a public company listed on the Australian Securities Exchange. -QIT Madagascar Minerals S.A. (QMM - Canada and Madagaskar) is a joint venture between Rio Tintos wholly owned Canadian subsidiary QIT Fer et Titane (80%) and the government of Madagascar (20%). According to the General Confederation of Trade Unions of Madagascar (FISEMA), there is a total unbalance between jobs for Malagasy people and jobs for foreigners, and between the level of salary as well. FISEMA argues that Malagasy workers of all sectors are directly affected by the inflation caused by the strong presence of expatriates in the region.